Never run your engine without it. As the engine coolant heats, it expands, creating pressure. When system pressure reaches the cap’s pressure rating, the cap’s valve opens, allowing coolant overflow. This also helps to keep air out of the cooling system. 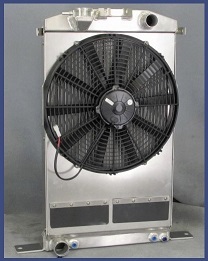 When the radiator cools, a vacuum is created that allows any overflow to move from the overflow tank back to the system. When coolant expansion occurs at around 200 degrees Fahrenheit, about 16–18 psi of pressure will be generated. However, if the engine overheats because of other factors, pressure could climb as high as about 28 psi. It’s important to carefully choose the pressure cap, both in terms of quality and pressure rating. For every pound of system pressure, the boiling point raises about 3 degrees Fahrenheit. For example, if you’re using a 12–16-pound cap, theoretically the boiling point would rise to 250–260 degrees Fahrenheit. Because of lack of pressure it does not force the coolant to scrape heat off the metal. Air pockets will form and overheating is for sure. The radiator pressure cap should always be located at the cooling system’s highest location, on the low pressure/suction side where coolant leaves the core. 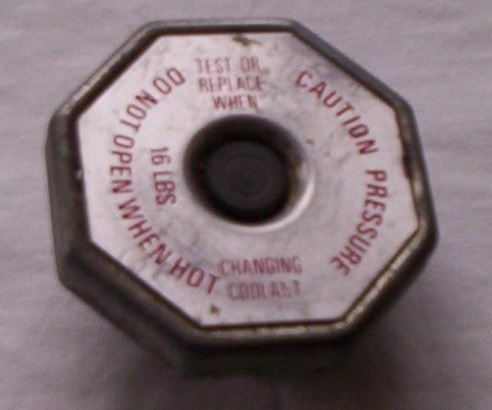 The reason for locating the cap at the highest point is simple, if the cap opens and vents because of excess pressure, any air in the system will escape first, before any coolant loss. If the radiator top is located lower than the highest coolant level in the engine, a surge or expansion tank must be installed and this tank must feature a pressure cap. The tank bottom will connect to the water pump inlet and an air bleed line will run from the side of the tank to the highest point of the radiator’s low pressure side. This completes the Lockhart Machine cooling facts. We hope you are able to stay cool.